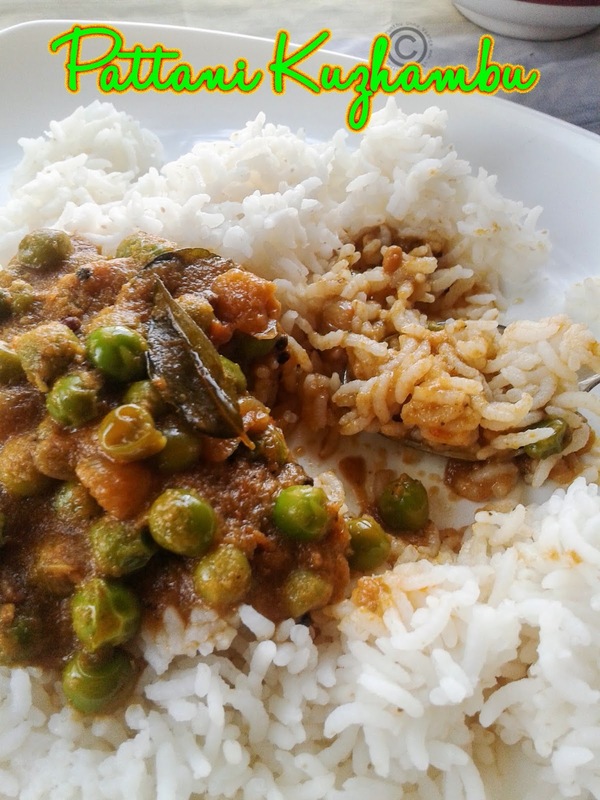 Green peas are very nutritious as well as tasty. It's my most favorite peas, and love to have it any form. 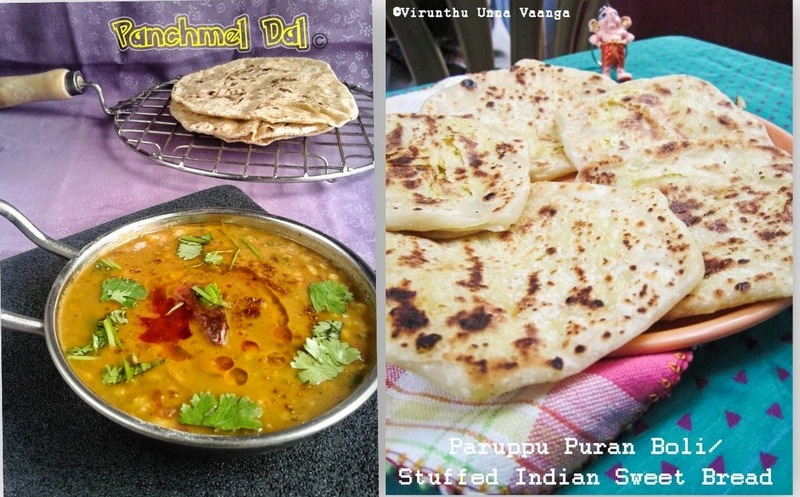 I used to make green peas paratha, kachori. 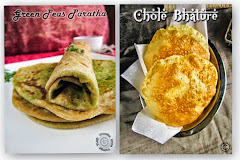 Gravies with green peas will suit well for chapathi or Poori. 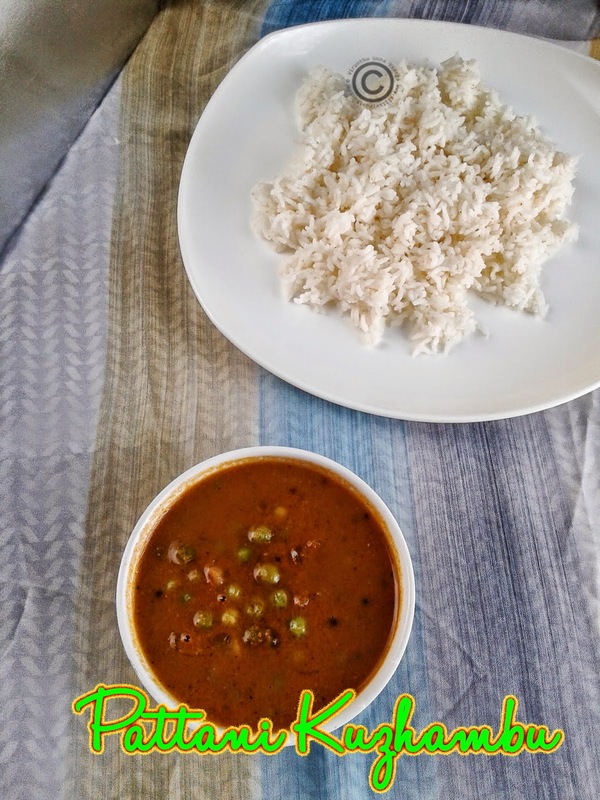 I have prepared South Indian style gravy for the rice. Heat oil in a pan; add cumin and peppercorn wait till roast. Add shallots and garlic. Saute till turns transparent. Then add tomatoes, saute till mushy and switch off the flame. Cool it completely and grind into a smooth paste with a little water. Heat oil in a pan; add fenugreek, mustard and urad dal wait for sputter. Add chopped shallots and curry leaves, saute it till translucent. 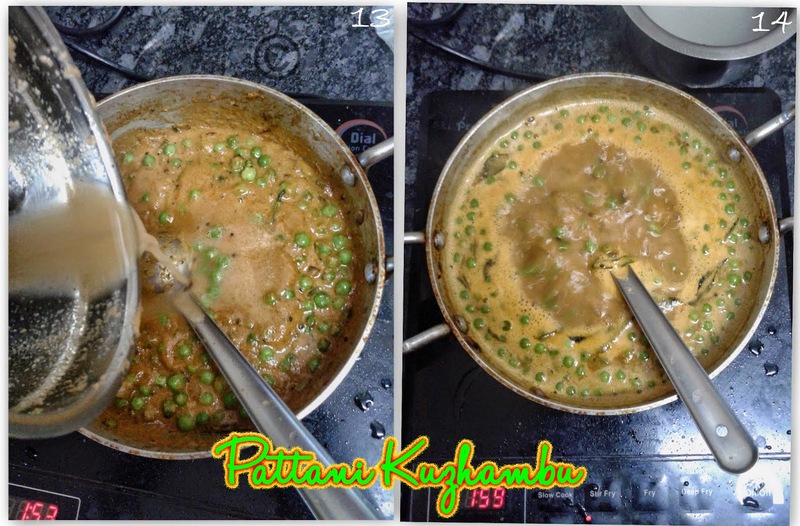 Now add green peas stir it once and then add turmeric, kuzhambu chili powder and salt and mix it well. Saute it for 2 minutes and then add the ground paste and mix it well. Add require water to the gravy and keep it on high flame till boiling. And then cook it on a low temperature till the peas get cooked. 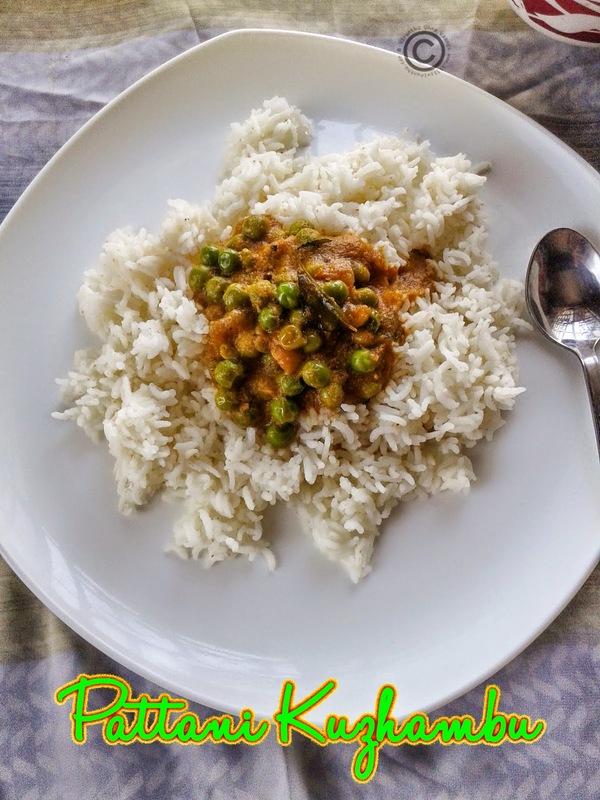 You can use soaked dry green peas instead of fresh peas. 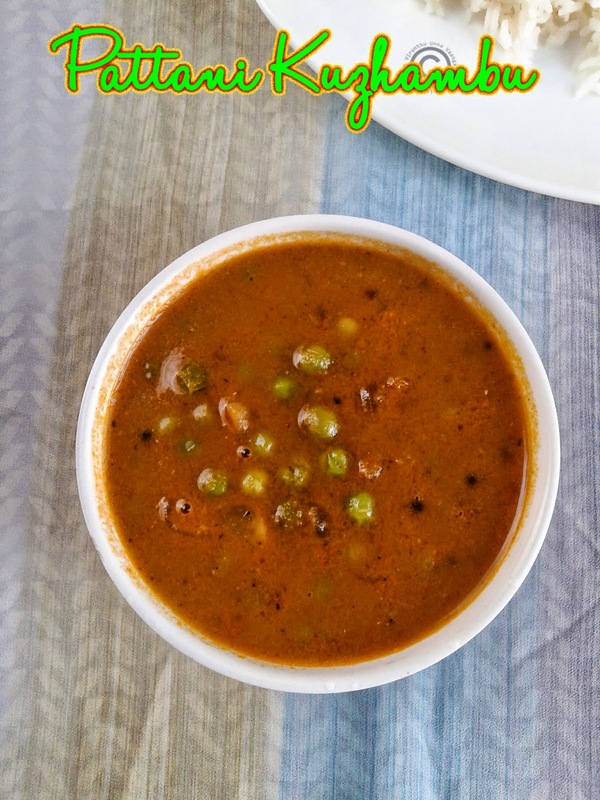 Add little tamarind water to get tangy kuzhambu.